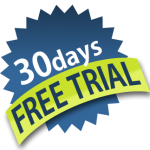 Try iRecruit with a 30 day Free Trial! iRecruit is designed for any sized business ready to start recruiting and applicant tracking online. Cost Management Services has been named to CIO Review magazine’s 20 Most Promising Sage Solution Providers. The magazine looked at the vendor’s capability to fulfill the need for cost-effective and flexible solutions for Sage.